www.pig-world.co.uk is the leading news website serving the British pig industry, attracting 4,500 unique visitors every month. 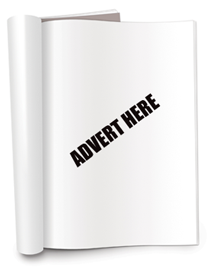 There are a range of online advertising and sponsorship opportunities available which can help to increase your brand awareness and drive traffic to your website. These adverts (see right) appear through out pig-world.co.uk, across ALL pages. Your banner creative can be animated (GIF / SWF) or a static (GIF / JPEG). 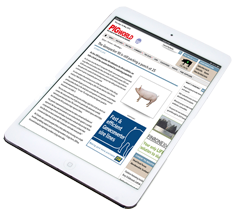 Our weekly e-newsletter reports on the top news stories from across the UK pig industry. You can include your MPU (300×250) banner within the emails to put your message in front of our subscribers. We can provide assistance with the production of online banners should you need help in putting together a professional banner. Pig World is a wholly paid-for-publication, reaching more pig producers than any other publication. The circulation of 4,100 (May 2013) includes all members of the National Pig Association (NPA), the representative body of the British Pig Industry. NPA members represent 85% of British pig production. The voice of the British Pig industry since 1987, Pig World is driven by strong editorial content hard news, controversial comment, solid technical information, zero flannel. This content is well received by our readers who spend an average of 46 minutes reading every single issue of Pig World*. *Results from Pig World reader survey, February 2013.